I've become increasingly fascinated by 18th & 19th century figurative sculpture, culminating in this new collection. 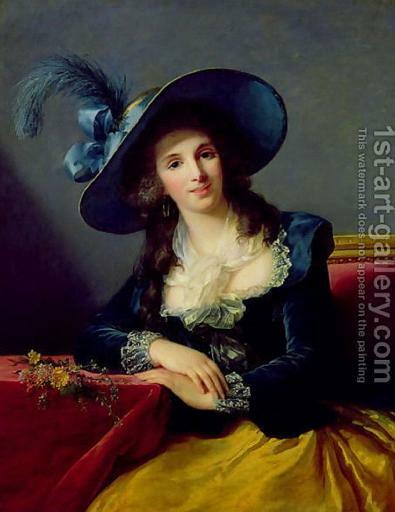 In this post I've shown some of the inspiration and references which make up the back-story. 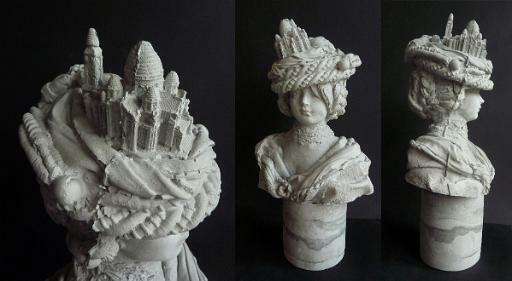 Mme Sacre Coeur. 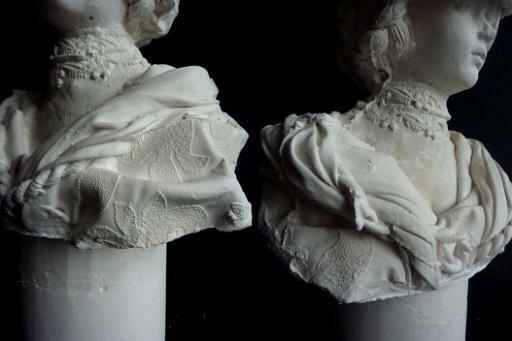 Rather than sculpted, my plaster busts are cast from real-life materials and objects as a way of re-creating the draperies and textures which interest me. For example, I've looked at lots of sculpted busts - like this on at the V&A museum. 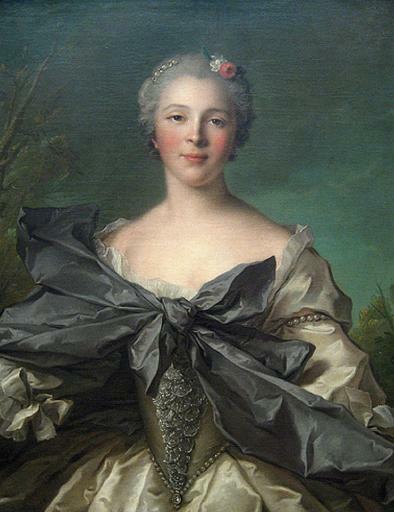 I'm particularly interested in the way draped fabric is interpreted in solid sculptural form. But I've also looked at paintings where fabrics have a strong sculptural shape and as a reference for the draped fabrics on my own original sculptures (the ones I create to make the plaster casts from). 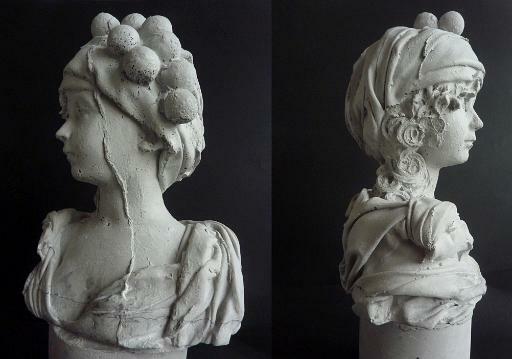 I find it fascinating the way sculptors bring life and fluidity to immobile stone. This one was at The Louvre - luckily for me I seemed to be the only one interested in European figurative sculpture as those galleries were virtually deserted. Miss Grape. 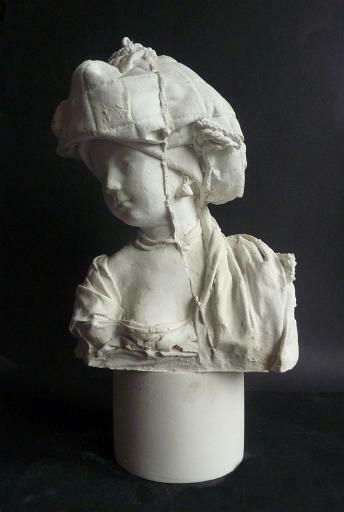 The headdress inspired by the Rodin sculpture below. 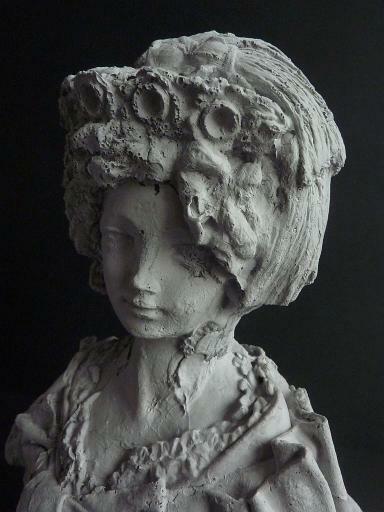 I've used plaits and curls like these in my busts - the plaster picks up the hair texture amazingly. More Rodin - the absolute master! 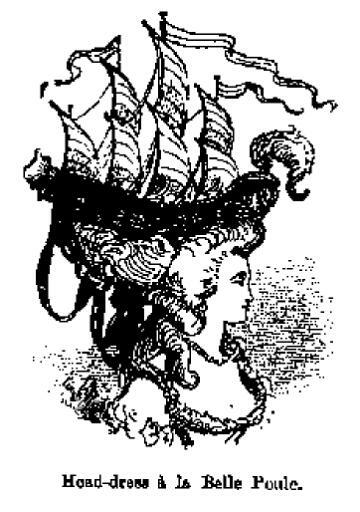 In the 18th century there was a wild fashion for sticking all kinds of objects on top of ladies' hats. 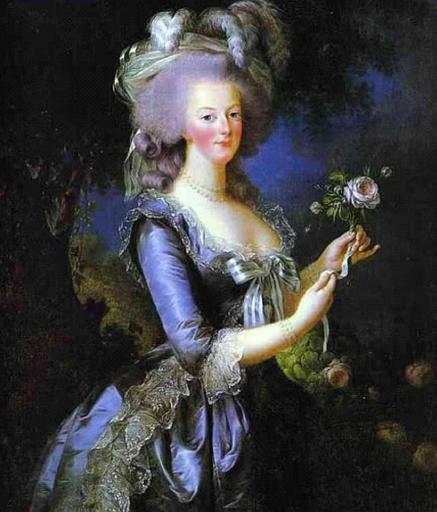 It was finding these images during my research which inspired me to do the same in my plaster busts. 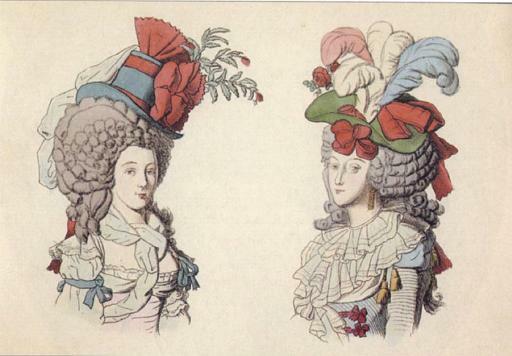 I think these 18th century hats were basically sculpture! I re-created this scarf and neckline on Mamselle Chateau. Aside from the style of the costume, I really love these intense strong colours - more an influence for my interior design work than my sculpture! 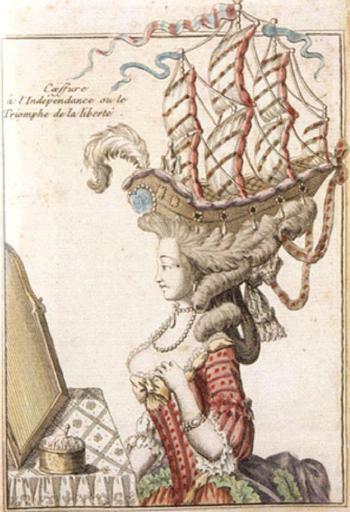 Marie Antoinette - the queen of ship hats! Rodin. The Rodin Museum in Paris is fantastic - I'm not so interested in his sculpted marble sculptures (Like 'The Kiss') which I find a bit static and heavy, but his clay work is amazing, so much life and expression without being slavishly hyper-realistic. Like in these two pieces. 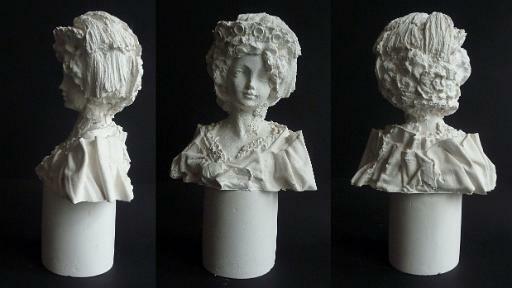 Rodin Girl - my version of the lace neckline - below. 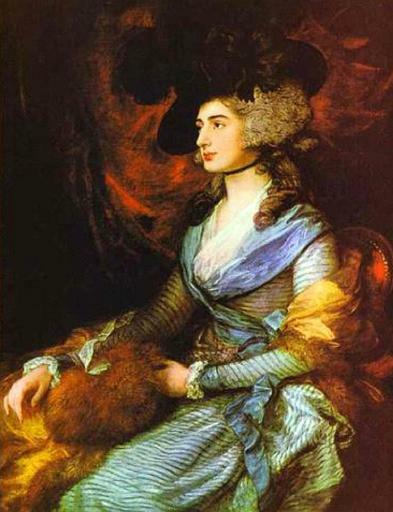 I tried to get a feel of this ruffled neckline and feathers. Rodin. The fruit and flowers are so three-dimensional and the balance of the hat on the body and proportions of the sculpture perfect. It's wonderful to see where the inspiration comes from. The Rodin busts are amazing. 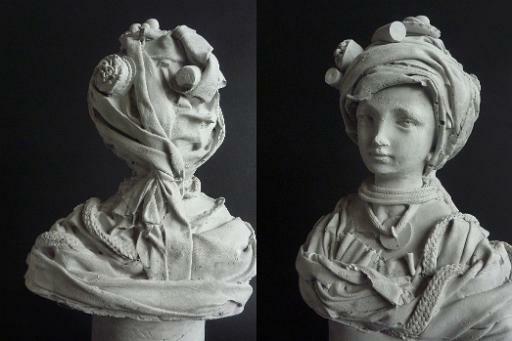 I love the definite sense of antiquity that is in your plaster busts but they are very contemporary. Keep up the great work. Wonderful. 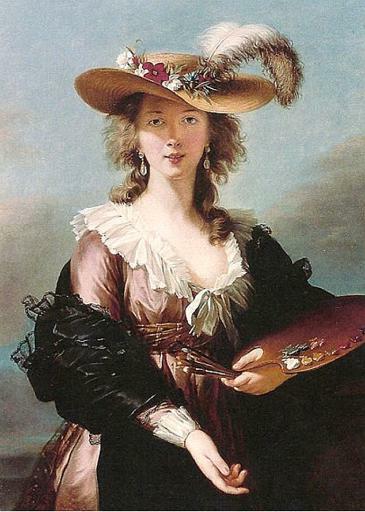 I saw your exhibition afew weeks ago and was buzzing with all the detail, all the references. 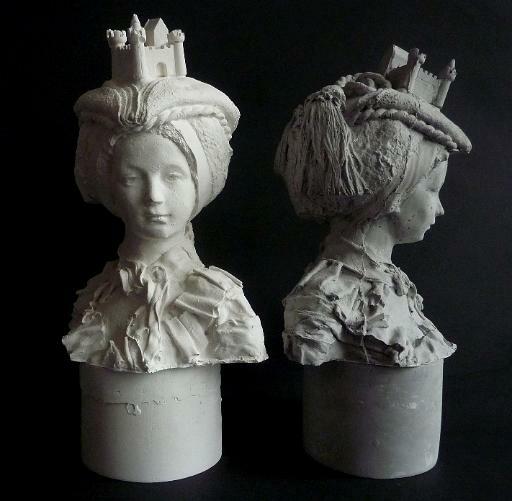 It s great to see your inspiration and background work, and be directed to Rodin's clay work. I agree, it is much more alive than his more famous work.